Ask Question in Plain English to Google Analytics and Get an Answer! If you spend lots of time looking through chunks of data under Google Analytics in order to get some information then there is a good news that can save your time. 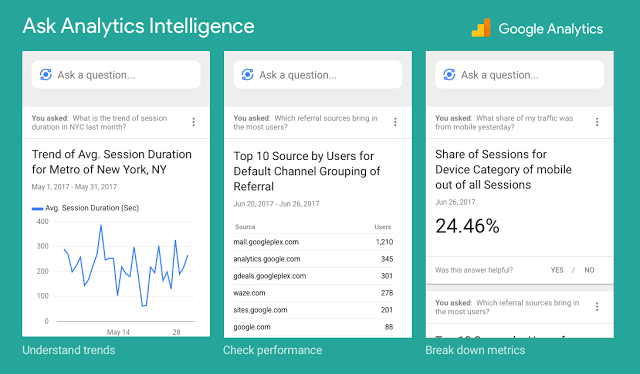 What if you could ask a question to Google Analytics like "How many new users did we have from organic search on mobile last week?" ― and get an answer right away? Now, it's a possibility with Google Analytics. Now, you can ask a question to Google Analytics and get an answer immediately. Google will roll out this new feature in the next few weeks.